Kumkum Bhagya Spoiler Alert: Tanu And Nikhil Plan to Kill Pragya, Will Abhi be Successful in Saving His Love? 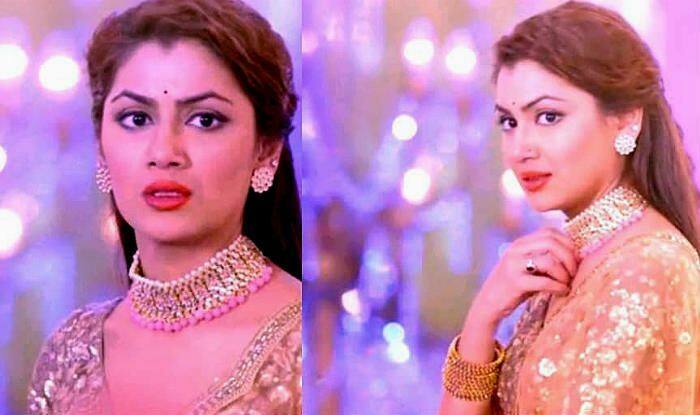 Seems like a big twist awaits the plot of Kumkum Bhagya. In the current storyline, Abhi and Pragya are managing to steal tiny moments from the Mehendi ceremony of Neha and Tarun. The two are separated now but Abhi is trying hard to get Pragya back in his life. However, this closeness is annoying Tanu and she has decided upon something very disturbing and shocking. In tonight’s episode of Kumkum Bhagya, the viewers will see Tanu planning to kill Pragya, thereby, making sure she’s out of her husband’s life for once and all. Tanu will be seen asking Nikhil to kill Pragya for her. The man wants Tanu back in his life and she agrees to go with him only if he helps her in murdering Pragya. Tanu will be seen making a strong statement by vowing to walk over Pragya’s dead body while coming to Nikhil. A shocked Nikhil, who has already risked a danger by threatening a doctor for Tanu, will first disagree but his love for her will make him agree to execute the plan. Now, will Nikhil and Tanu be successful in killing Pragya or will Abhi and King be able to protect her from Tanu’s evil plans? Watch out for the upcoming episodes of Kumkum Bhagya! Meanwhile, seems like the makers are planning to introduce a new angle between Aaliya and King. In the last night’s episode, the two were seen hugging each other as King tried to comfort an upset Aaliya. She poured her heart out to King by expressing how she feels everytime she looks at Purab, the man she loved dearly, enjoying his married life with Disha. She tells him that he won’t ever be able to understand her feelings because he must have never had his heart broken by someone he loved. Stay tuned!